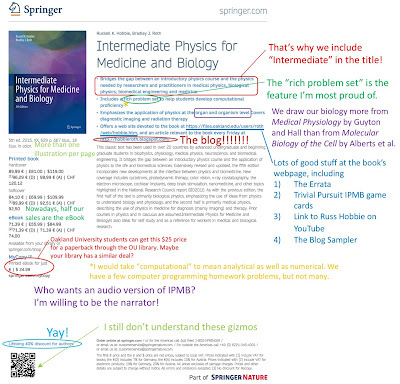 Springer is the publisher of Intermediate Physics for Medicine and Biology, and they have their own webpage for our textbook. They do a decent job promoting the book, although they’ve never asked me to do a book signing and I haven’t seen Russ Hobbie on Oprah. They have a “Bookmetrix” page with some data about downloads. 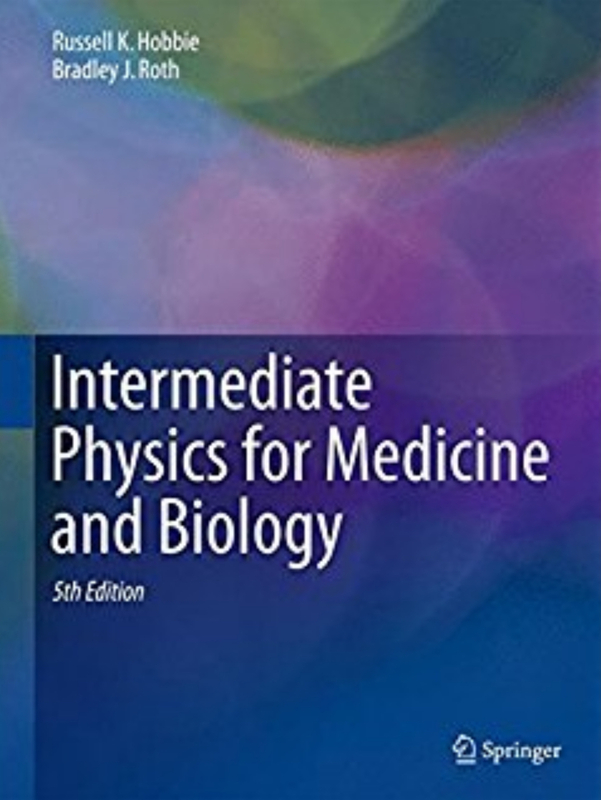 Intermediate Physics for Medicine and Biology (June 22, 2018). The year was less than half over when I obtained this data. 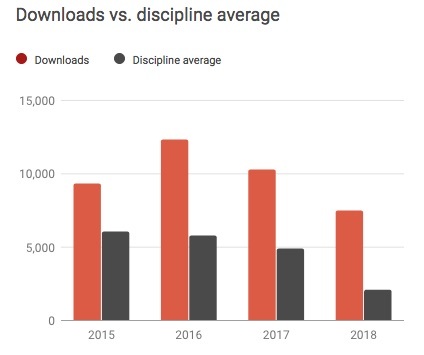 If downloads continue at their current rate, 2018 will be a record year. Thank you to all our wonderful readers! The Springer IPMB website has a link where you can “Download Product Flyer.” I downloaded it, and it is a nice summary of the book. But I thought I could make it better. 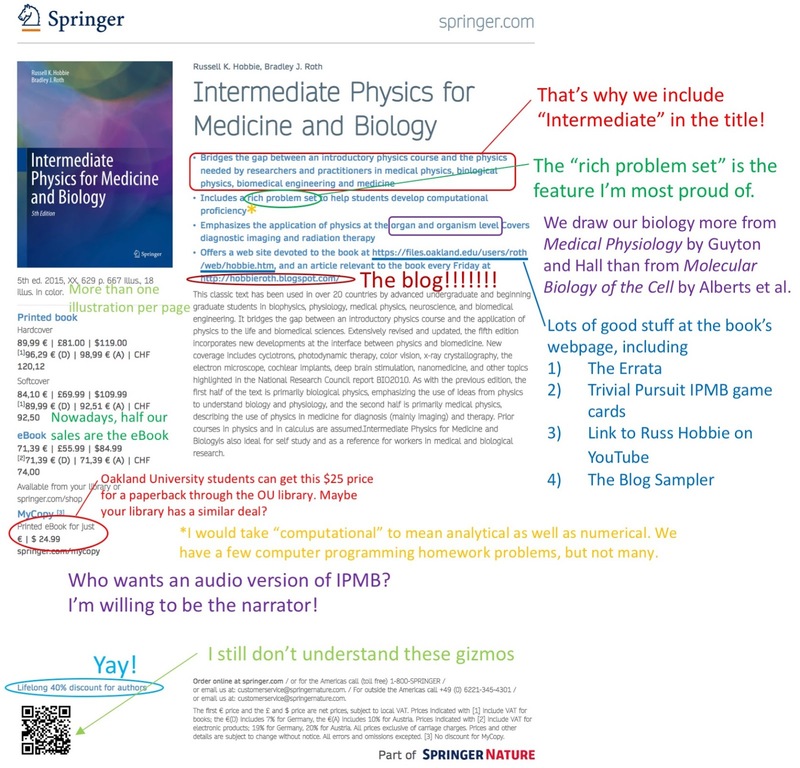 Below is my annotated version of Springer’s IPMB flyer (or click on the link for a pdf copy, or download it from Russ and my book website). Enjoy!